During their regular meeting Monday, Williamston Town Council approved changes in the town’s garbage ordinance, increased water and sewer tap fees and reappointed municipal judge Matt Lollis. 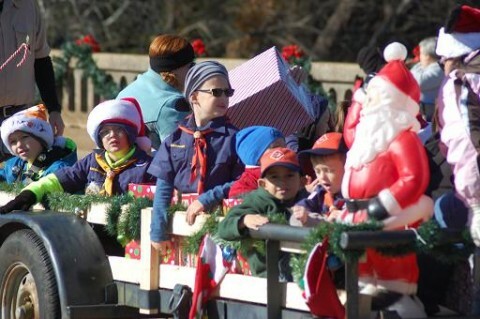 During public comments, Sherrie Cole announced that the Williamston Christmas Parade will be held Saturday Dec. 9. There will be no entry fee. Bonnie McCullough addressed Council about problems on Carolina Street including people standing around, trash and other issues. Mayor Mack Durham responded that the town will begin enforcing a new landlord ordinance in January that should help and that the town takes problems in the area seriously. He said the police department has increased direct patrols in the area. Councilman Tony Hagood added that the town is talking with Solicitor David Wagner about what can be done in cases where witnesses or complainants don’t show up in court. Responding to a comment by Councilman Rockey Burgess about police officers being directed not to patrol the area of Carolina Street, Captain Kevin Marsee said the statement is not true and that officers have been requested to provide more direct patrol. Captain Marsee presented the police department report. “October was a busy month,” he said. The department answered 796 calls for service including 19 for traffic enforcement, 125 for keep check, 397 for directive patrol, 9 walk-ins, 246 calls for service, 25 assisting other agencies and 15 motor vehicle accidents. Capt. Marsee said the department responded to 25 assault calls. The department also investigated 17 cases in which five warrants were signed, 9 cases are still under investigation and 3 were closed. 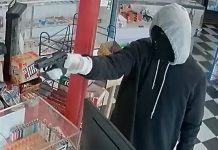 Cases investigated included financial card fraud, petit larceny, attempted murder, shoplifting, forgery, malicious injury and child neglect. 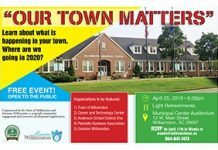 Envision Williamston Executive Director Sonya Crandall reported the organization is continuing their transformation strategy to improve dining, shopping and placemaking in the town. Crandall said EW will announce the winner of the “Main Street Challenge” in which a new business will be awarded a grant of $10,000 to help with start up. There are four finalists, she said, and a decision should be announced soon. She added that there are four new potential businesses that may be opening in the town. Several programs funded under the ARC grant are also ongoing including the Adopt a Rest Stop program with four new locations, and ten more being added soon. Envision Williamston will also be accepting applications for Phase 2 of the Facade improvement grant through Nov. 10. Crandall said the organization is looking for a third party to bid on the streetscape/landscaping project. The scarecrow decorating contest has 30 entries and online voting for favorites is currently going on. The third event in the jazz series will be held on Nov. 18. Crandall said a 3d rendering of the proposed Mustang Alley project will be presented soon, and EW is planning to extend the street banners along Anderson and Greenville Drive in early 2018. 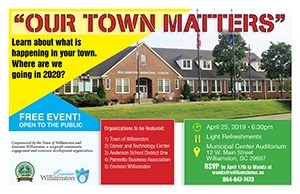 Envision Williamston also just announced a mural project in which local students are being invited to submit designs for two mural locations, Crandall said. Debbie Chapman gave the codes report. Council approved a resolution recognizing Stanco Metal Products, Inc. for 100 years of service. The family owned metal fabrication business has been in operation since 1917. During the business portion of the meeting, Council approved second reading on five ordinances including a minor modification of zoning regulations and amending the zoning map to re-zone property on East Main. Council unanimously approved second reading authorizing the zoning administrator to make minor modifications to zoning regulations. Requested modifications will be forwarded to the planning commission for recommendation and can be approved by the zoning administrator. Council unanimously approved second reading on an ordinance amending the town’s zoning map to re-zone property on East Main St. from Institutional to Core Commercial. 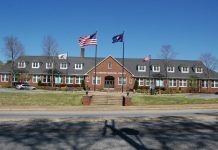 The property is the former site of the old Williamston Town Hall and was purchased by T Square Properties when town properties were sold several years back. Council unanimously approved second reading on changes to the zoning map to re-name R-4 Multi Family to MFR-Multifamily Residential. Council unanimously approved second reading on an ordinance establishing a “INS-Institutional” zoning district. The ordinance provides a definition for Institutional property, which includes public, governmental, educational, health, recreational, historical and office uses. All of the town’s property is zoned Institutional. Council approved second reading renaming the “HC-Highway Commercial” zoning District to “RC-Residential Commercial”. The change clarifies zoning and will help persons purchasing real estate in the town’s commercial district, that could also be used for residential, with obtaining financing. Acting on a motion by Mayor Durham, Council approved the reappointment of Matt Lollis as the town’s municpal judge. Council also approved first reading on an ordinance amending the garbage and trash regulations. 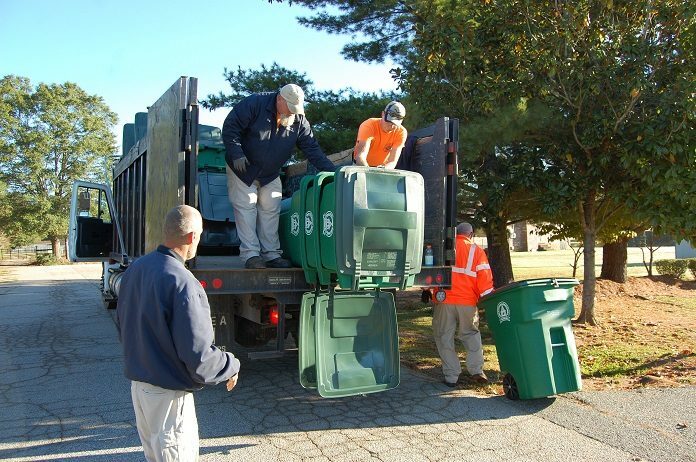 The ordinance address changes related to the recently distributed trash containers and a new packer truck that will be arriving soon and other changes. Among them, all refuse must be placed in authorized receptacles and residents must place their receptacles, with the lid shut, at the front curb by 7 am for pickup. 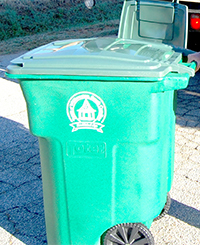 Garbage receptacles must be returned to the side or rear of the structure within 48 hours. Garbage outside of an approved receptacle will not be collected. Receptacles must be kept in a sanitary condition and not be overflowing with garbage. 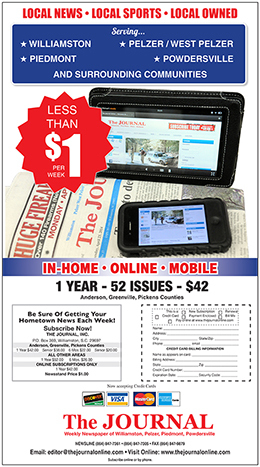 Each customer is being provided one receptacle and a second is available for a fee of $5.50 per month. The owner of the property is responsible for theft, damage and replacement of the new receptacles. It also addresses yard waste, tree limbs, construction and demolition materials, hazardous materials and other related rules and regulations. Business owners are required to keep premises clean of trash left by customers and have receptacles aaccessible. Council approved first reading on an ordinance authorizing the recovery of costs associated with housing of juvenile offenders. The ordinance makes parents or guadians of a juvenile that must be housed following an arrest responsible for the actual costs. Any amount due may be collected in the same manner as the collection of delinquent taxes. Council approved first reading on an ordinance authorizing the recovery of costs associated with damage to utilities. The change is primarily related to damage that may be done to new radio read water meters that are being installed, which cost considerably more that the old meters did. Council approved increases to the water and sewer tap fees amounting to $100. Water taps for properties inside the town will increase to the following: Water Tap 3/4 inch – from $750 to $1300; 1 inch – from $1000 to $1400; 2 inch – was $1200 now to determined by mayor on case by case basis. 3/4 inch – from $850 to $1400; 1 inch – from $1100 to $1500; 2 inch – from $1300 to be determined by mayor on case by case basis. Sewer Tap in town limits will increase to: 4 inch – $900; 6 inch to be determined on case by case basis. Outside the town : 4 inch – 1000; 6 inch to be determined on case by case basis.